Four people in Chicago are in police custody after an alleged kidnapping and torture incident was broadcast on Facebook Live on Tuesday. CBS Chicago reports that the 18-year-old victim is a Northwest-suburban resident with special needs who had been reported missing. In the video, which has since been removed from Facebook, the victim’s clothes are cut, he is peppered with cigarette ashes and then his hair is cut with a knife until his scalp bleeds. CBS reports that several people can be seen in the video laughing, eating, using racially charged language and making disparaging remarks about President-elect Donald Trump. “I’m not going to say it shocked me, but it was sickening,” Johnson added. Police said the incident took place Tuesday at an apartment on the 3400 block of West Lexington on Chicago’s West Side. CBS reports that officers found the victim wandering the neighborhood in an obvious state of trauma, and authorities drew the connection with the disturbing Facebook video. Four people, including two men and two women, are in custody in connection with the incident, and while criminal charges are expected, authorities said it is too soon to say whether they will be charged with kidnapping or a hate crime. According to CBS Chicago, three of the suspects are from Chicago, and a fourth is from the Northwest suburb of Carpentersville, Ill.
Chicago Police Cmdr. Kevin Duffin said the victim is an acquaintance of one of the suspects. An investigation into the incident is continuing. Right-wing pundits have been attempting to tie the incident to the Black Lives Matter movement even though there is no mention of BLM in the video. On Wednesday night, a hashtag implicating BLM in the kidnapping was trending on Twitter and being openly used by right-wing and neo-Nazi pundits. There is no evidence that BLM is involved in the incident, but that hasn't stopped the likes of Tomi Lahren from tying it to the incident. 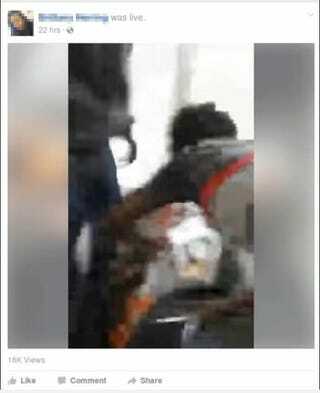 Editor’s note: The following video contains graphic imagery and strong language. Viewer discretion is advised.